You may have noticed – this blog is on a bit of a hiatus. We’re trying to decide where to take it, as our evolving family dynamics don’t take us to many BIG places anymore. The Teen has begun his college search, so we’re more likely to tour a campus than the world’s largest glass museum (although that was a really cool day!). If you have any suggestions on what this blog should be in its next life, please share your thoughts in the comments below. A lot of you have been on this ride with us for six years, so you should have a say. In the meantime, we’ve compiled a list of our favorite posts. You may have missed a few, so why not take a look back? Favorite near-death experience – When we entered Gatorland in Orlando to see the world’s largest collection of rare Leucistic alligators, we didn’t realize we would be escorted into the pen where “Trezo Je” lives. That time we broke a world record – Along with 2,565 other people, doing the Hokey Pokey in the world’s longest line dance across the Walkway Over the Hudson bridge. Geekiest experiences– We fly our family’s geek flag pretty high, so there are too many to choose from. We liked the world’s largest robotics exhibit at the Carnegie Science Center in Pittsburgh just as much as the world’s largest public collection of video games at The Strong museum in Rochester. Most esoteric discovery– The largest Buddha in the western hemisphere resides at the Chuang Yen Monastery, which is actually just 20 minutes from our house in New York’s Hudson Valley. Yummiest – Our fave food finds have included The Columbia Restaurant, the world’s largest Spanish restaurant in Tampa; the Giant Crab Restaurant in Myrtle Beach; and Chocolate World, home to the world’s largest selection of Herhsey’s products. All those times we chickened out – There are so many BIG thrill rides and attractions out there, and they appear much larger when you’re a BIG chicken. Like the Alpine Slide at the Utah Olympic Park; Kingda Ka, the world’s tallest roller coaster at Six Flags Great Adventure; and the Canyon Climb Adventure Ropes Challenge Course, the world’s largest suspended indoor ropes course. 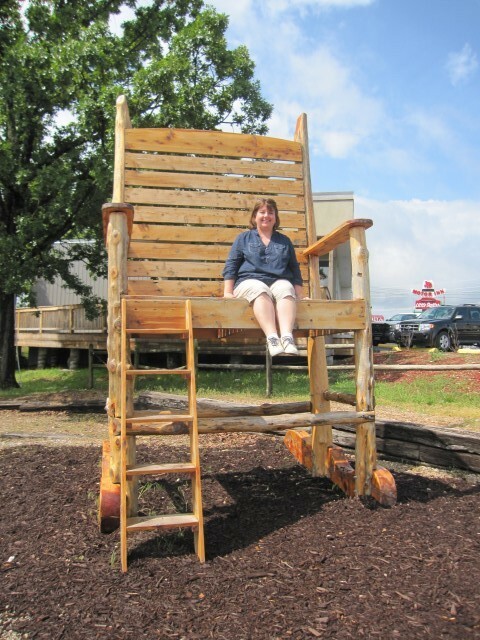 Giddiest moments – The whole reason we started this blog was to share those amazing travel discoveries that our small-town family experienced at BIG places. Personally, my best memories of sheer happiness include kissing sting rays; bringing The Teen (formerly known as The Boy) on a LEGOLAND pilgrimage; and taking The Girl to Walt Disney World for the first time. I hope to have more to share with you again soon. 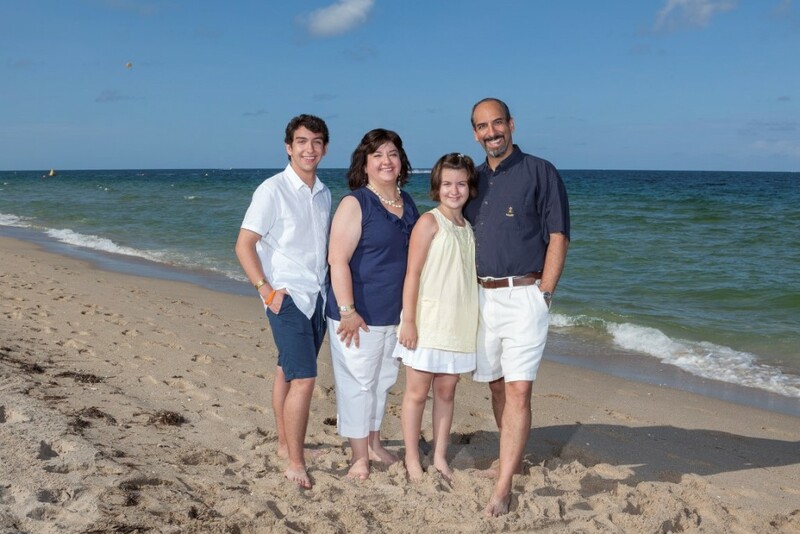 In Fort Lauderdale this summer, when we paid someone else to take the photos for once. It was great! We haven’t been to Six Flags Great Adventure, the world’s largest theme park, in more than two years. The introduction of the Holiday in the Park event brought us back to Jackson, New Jersey last week, because I love a good holiday light display (remember this one?). 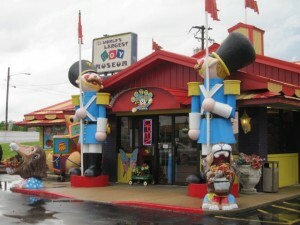 I wrote about our experience for the Family Vacation Critic blog, so if you’re looking for more details, head on over there. Here, I’m sharing some photos and impressions from our visit. 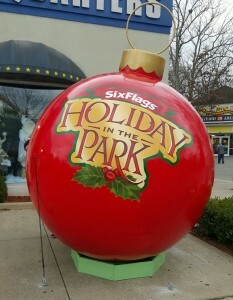 It’s running at five different Six Flags parks across the U.S. through January 3, but this is the first time it’s in New Jersey. I highly recommend it! 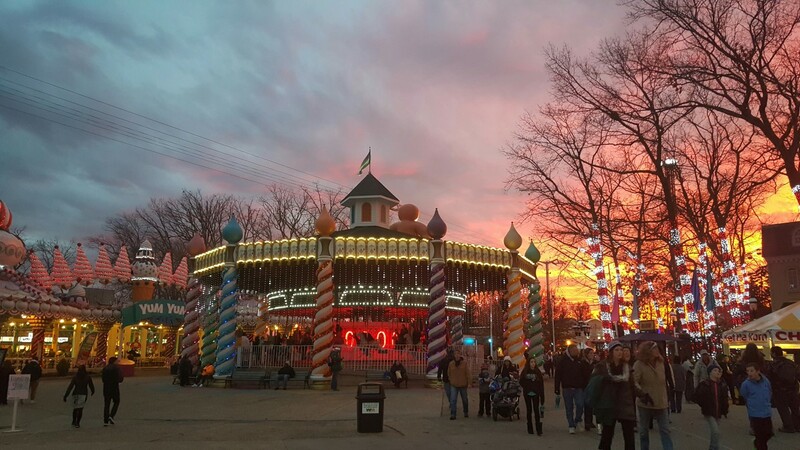 In addition to the great entertainment, including live shows, visits with Santa, and story times with Mrs. Claus, you’ll see 1,000,000+ lights, and it pays to time your visit so at least part of the time you’re there after dark. 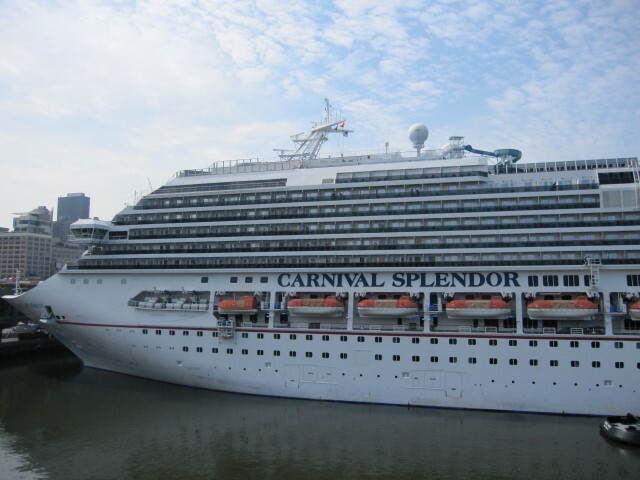 This summer, we spent a delightful five days at sea on the Carnival Splendor. It was a great opportunity to get up to New Brunswick and Nova Scotia, Canada, in a way that did not involve packing up the car and spending 10+ hours reminding the kids to stay on their own side of the back seat. 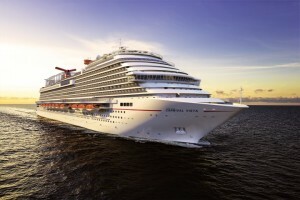 Of course, it was a BIG experience – the Splendor is currently the largest ship in the fleet (this will change next year when Carnival Vista takes its maiden voyage), and Carnival is the world’s largest cruise line. Packing for a cruise is easier than packing for air travel – you don’t have to worry about paying extra for the suitcases, even if they exceed 50 lbs. And no pesky 3-ounce rule for liquids! But it’s also more difficult than packing for a road trip. After all, you can bring a lot more stuff in your car. So, I utilized the typical packing strategies, including planning our wardrobes to use ubiquitous pieces more than once (hello, little black dress). I also found some not-so-typical packing advice, after scouring online cruise forums for tips from frequent cruisers (hello, Cruise Critic). There are the usual things you’d pack for a cruise, like bathing suits and motion sickness medication. You may not even need to bring your kid’s stroller; you can rent them from Camp Carnival, either on a daily basis or for the entire cruise. I spend more time than I should watching HGTV, and my current favorite show is Flea Market Flip. I’m captivated by the “before and after” transformations of the old pieces they find at antiques shows and flea markets. 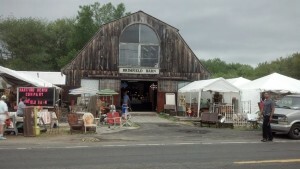 One of the markets regularly featured is the Brimfield Antique Show in Brimfield, Massachusetts. It’s supposedly the world’s largest outdoor antiques fair, so that was all the reason I needed to plan an outing. Brimfield is a small town, with Route 20 (Main Street) running through it. 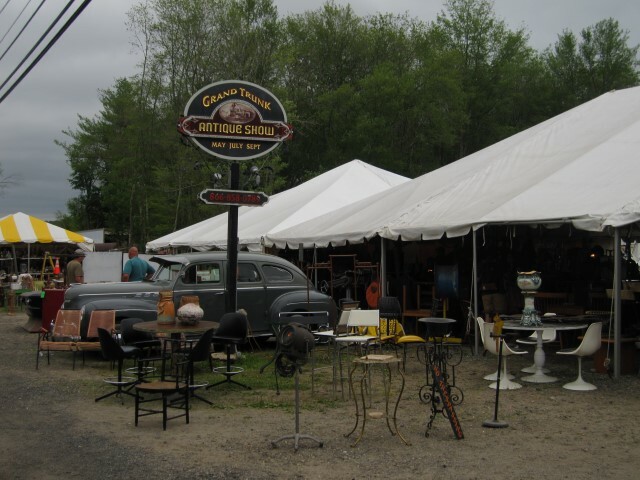 The antiques show, which has run since 1959, is situated on both sides of this road along a one mile stretch. Technically, the show is multiple smaller markets, each with their own days and hours of operation. There are 21 show fields in all, and more than 3,000 dealers at full capacity. There are a handful of buildings, but most dealers are under tents. The best decision I made was to not bring the kids. Instead, I brought a friend who loves to shop as much as I do. There is a LOT of ground to cover, and my kids would have hated it. We tracked our walking, and logged close to four miles over two days. And this was the July show, which is the smallest in terms of number of exhibitors. 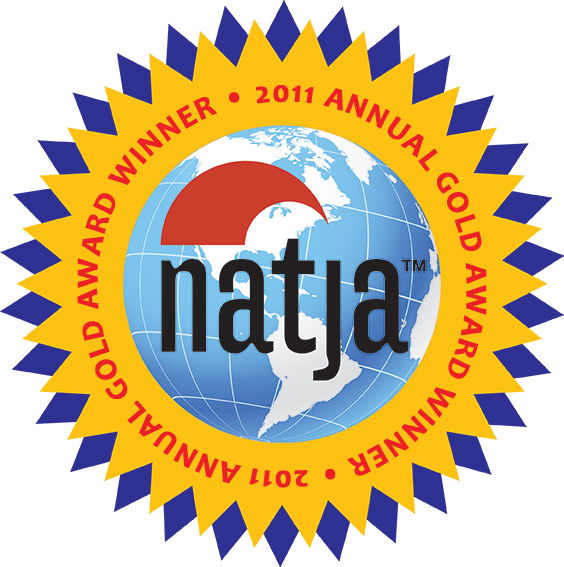 There are three shows each year – May, July, and September. It was an amazing smorgasbord of antique and vintage finds, as well as the random stuff you would find at anyone’s garage sale. 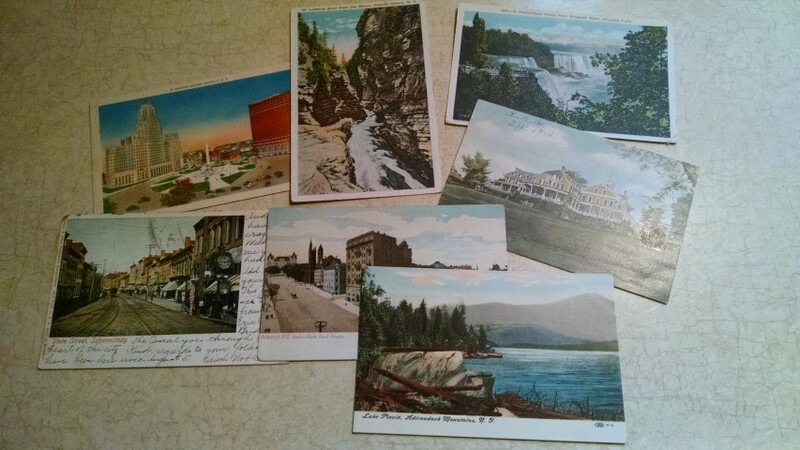 At the end of the weekend, my loot consisted of vintage tourism postcards for my collection, earrings made from old keys, a scarf, and a decorative wall hanging made from old tin ceiling tiles. 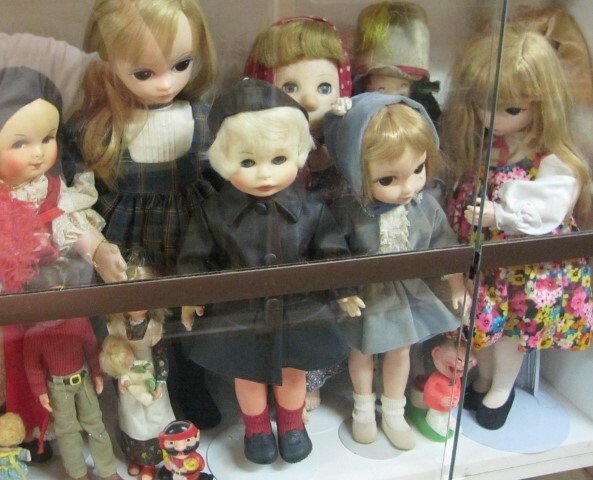 If you played with doll houses, built model airplanes, or created LEGO lands, you understand the fascination with miniatures. As a kid, I took omnipotent pleasure in making these small worlds look and operate exactly the way I wanted them to. As an adult watching my kids do the same, I appreciate the technical artistry and attention to detail reflected in miniature figures and furnishings. 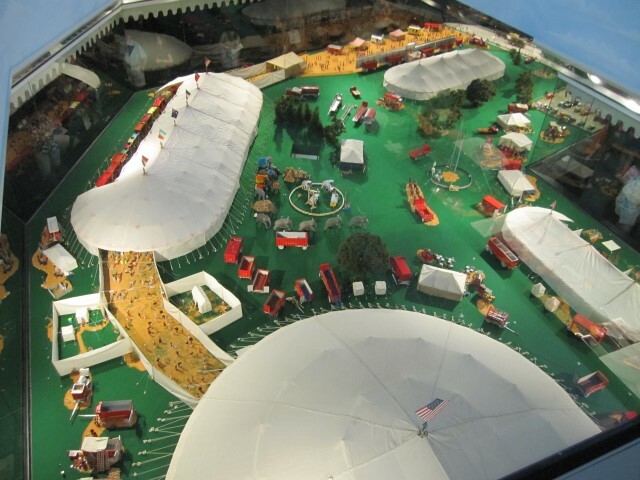 We brought this love of little to the Ringling Circus Museum in Sarasota, Florida, where the world’s largest miniature circus fills 3,800 square feet of exhibit space, and can be viewed from two floors. Through 44,000 individual pieces, this circus tells a story, brilliantly, with moving elements and light and sound effects. The Howard Bros. Circus Model was mostly built between 1956-1974 by Howard Tibbals, who named the circus after himself because he wasn’t allowed to use the names Barnum or Bailey. 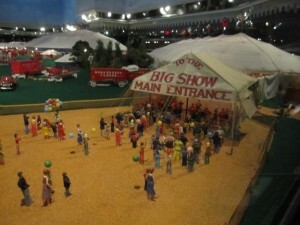 But in fact, it is a 3/4-inch-to-one-foot scale replica of the Ringling Bros. and Barnum & Bailey Circus, as it would have looked during the years 1919-1938. It would span 11 acres if it were life-sized. If you live in Florida (and I have), alligator sightings are about as rare and exciting as observing a squirrel in its native habitat here in the northeast. But Floridians know that northerners think it’s thrilling to see gators while we visit their sunshine-y state, so a whole subset of the tourism industry has evolved to give us that opportunity. 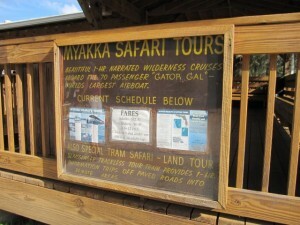 One such business, Myakka Wildlife Tours in Sarasota, sweetens the deal further with a ride on the world’s largest airboat. During our December visit, the weather was perfect for outdoor exploration; sunshine, breezes, and low humidity. We spent a happy, restorative day in Myakka River State Park, one of Florida’s largest and oldest state parks. Follow the signs to find the tour boat dock and ticket booth. 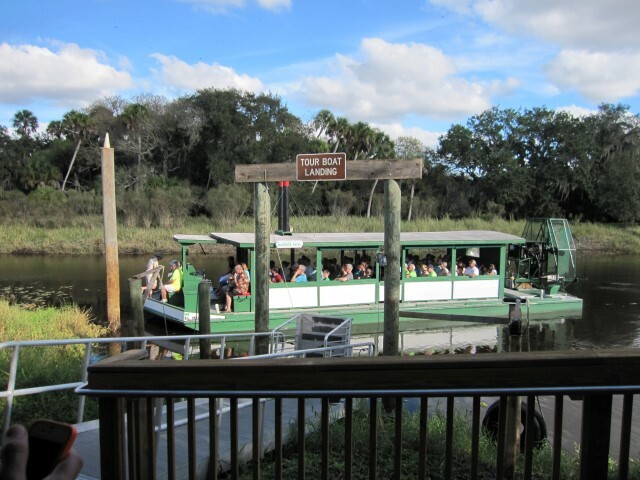 The world’s largest covered airboats are actually two identical twin boats, the Myakka Maiden and Gator Gal. Both are 53-feet long and 16-feet wide. 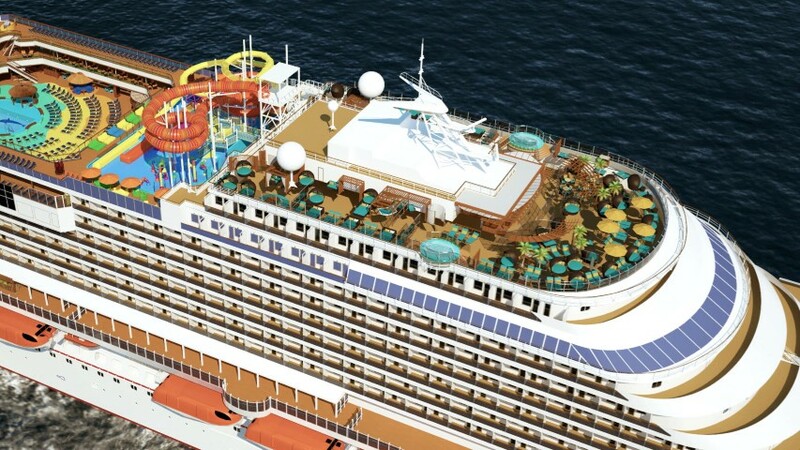 Each can seat up to 57 people for the 45-minute cruise. There are three cruises offered daily in the slower (hotter) summer season, June 1 through December 15. Four or more cruises, depending on demand, are offered during the high season, December 16-May 31. Serendipity gets all the credit for our latest BIG find. While at the Utica Zoo in Utica, NY this past weekend, we passed a really large watering can on display. I almost walked on without a second look, because I hadn’t read seen anything about it in my research for this trip. Usually these things pop up on the radar while I’m reading about a destination. 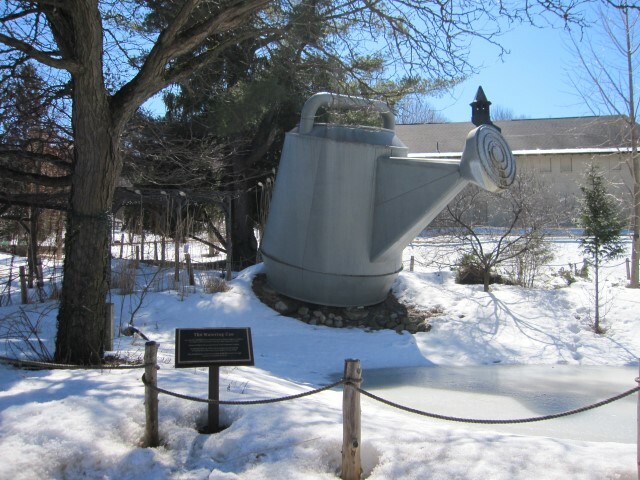 Looking at the sign, I was surprised and delighted to discover that this 15.5 foot tall, galvanized steel structure is indeed the world’s largest watering can. It was made for the zoo in 2000, and weights 2,000 lbs.